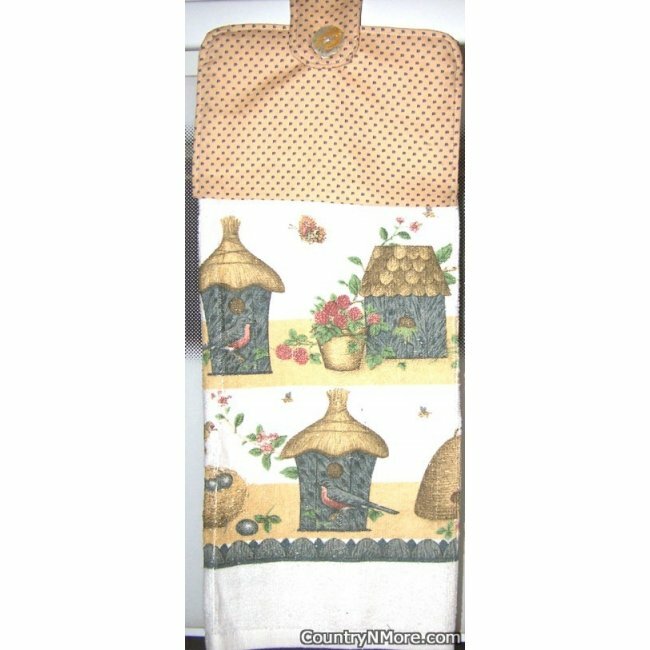 The birdhouses on this oven door towel resemble little huts with straw for roofs. The top part of this towel brings out the earth tones of the towel. We use full-length towels for our hanging oven door towels.